Lots of natural sunlight reflects off the white wainscoting, trim, door, crown moldings, and hallway built-ins, leaving this home feeling fresh and bright! Laminate floors, upgraded light fixtures, and cozy gas fireplace. Fenced yard and great location on a cul-de-sac in Yelm's Tahoma Valley Golf Course community. 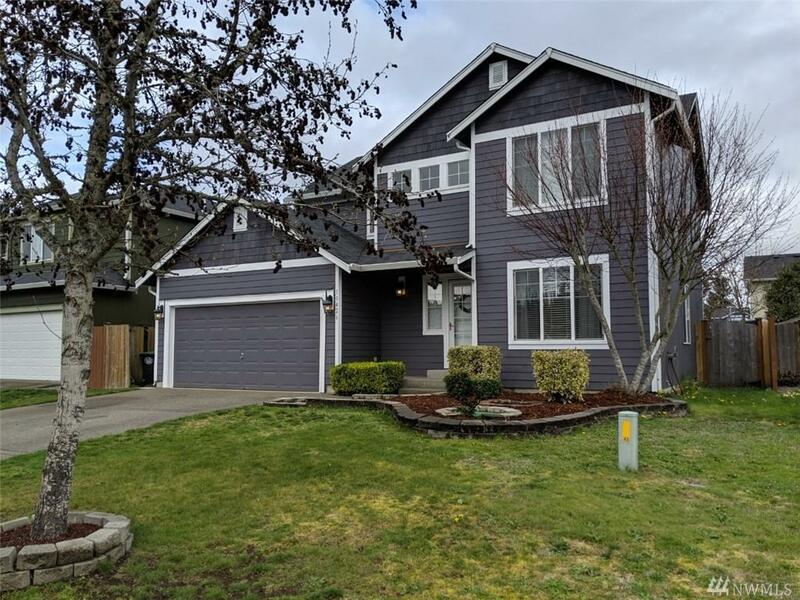 Easy access to city park, rails to trails, and all conveniences including the East Gate of JBLM. Show with confidence!